Around 1.5 million and counting have gathered at the iconic building to watch the show and bid adieu to 2017 in style. Dubai NYE celebrations 2017. File Photo. Dubai's Burj Khalifa is all decked up for another remarkable New year celebrations. Known for its spectacular fireworks, this year the city has made the festivities even more special by replacing firecrackers with laser light show. There are total four laser shows, one every hour, starting from 9pm (local time). 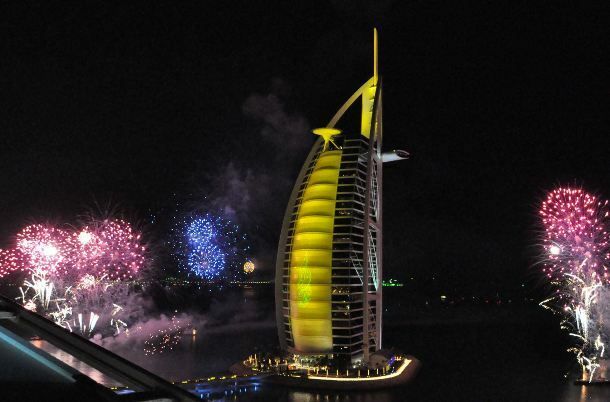 The United Arab Emirates is known for remarkable New Year celebrations all across. Not just Dubai, but Ras Al Khaimah, Abu Dhabi and Sharjah are also known to their best shows forward. Global Village, UAE offered seven fireworks displays corresponding to seven selected countries and their midnight timings. The first was at 8pm (locat time) corresponding to midnight in Philippines.